A healthy skin radiates beauty, and it glows from far. Everyone desires to have healthy skin, but the effort you put towards achieving it determines whether you get your desired skin. The skin is usually a manifestation of the health of your internal organs. Conditions such as acne are not just skin conditions, but their root cause is often related to internal factors. Dermatologists insist that what you eat determines how healthy your skin will be. Dr. Todd Watts, co-founder of MicrobeFormulas.com, says that there are many physiological inhibitors that are stopping men and women from living the healthy lifestyle they desire. In addition to a good diet, the supplements you use also contribute towards giving your skin a glow. Here are seven of the best essential supplements you need for healthy skin. Always ensure that you eat foods rich in essential nutrients that will leave your skin looking healthy and younger. Other than ingestion of food supplements, you can also directly apply the supplements to your skin. Antioxidants have also gained popularity all over the world as a method of maintaining healthy skin when toxins are eliminated from the bodies. Most skin experts also support individuals to make use of antioxidants say two times a year. You may be wondering what you can do to maintain healthy glowing skin year round. Well, here are some of the nutrients you can utilize. 1. Vitamin C and E prevent skin damage from the sun’s rays. Vitamin E also protects against wrinkles hence keeps your skin looking young. When consumed in the right quantities, Vitamin E also enhances the skin texture and complexion. If you are selecting a lotion, ensure that it has a combination of vitamins C and E because they will shield your skin from harmful rays as well as give it anti-aging properties. Citrus fruits such as oranges and pineapples can give vitamin C. Vegetables such as cauliflower, and broccoli are also rich in vitamin C. Consumption of these foods help to replace the vitamins lost through exposure to the sun. Skin experts also encourage the people, who cannot consume these foods regularly to take supplements in quantities of between 500 to 1000 milligrams every day. 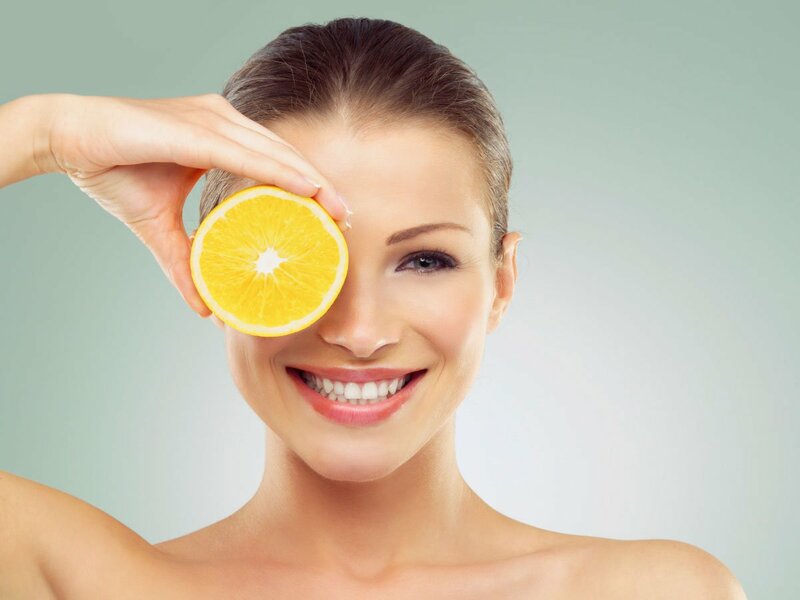 Vitamin C serums or creams that contain Vitamin C are also useful in enhancing the production of collagen. According to the American Academy of Dermatology, vitamin E helps to heal dry skin. As such, to obtain it, ensure to consume spinach, nuts, vegetable oils and asparagus. However, these foods give the vitamin in insignificant amounts. Supplements in the form of lotions, creams, and serums are therefore encouraged, but have to be used in the correct dosages. 2. Vitamin A is also good for healing flaky and dry skin. You can consume foods rich in Vitamin A such as fruits and vegetables, or you could use creams and lotions with the nutrient. Vitamin A has anti-aging properties that help to keep your skin young and radiant. 3. Vitamin B complex biotin is the best form of vitamin B responsible for great skin, hair and nails. 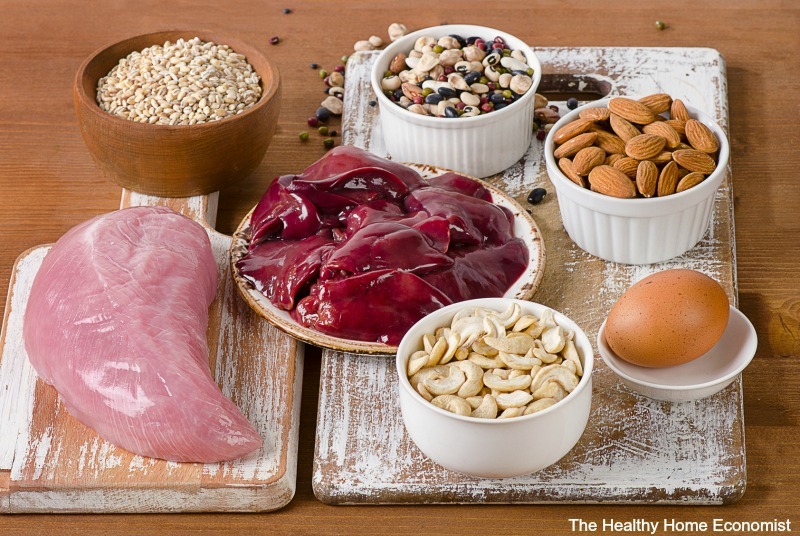 This form of the vitamin is readily available in almost all foods, and the body produces some of its own. Currently, vitamin B is also prepared in the form of creams. Niacin, for instance, is the most common vitamin B compound found in lotions. The compound restores skin moisture and can also be used to clear any skin blemishes. 4. Vitamin K topical supplements help in removing dark areas under the eyes as well as clear any scars on your face. A combination of Vitamin K and A in the topical creams have also been found to work more effectively in clearing black areas on the eyes according to a recent study. 5. Selenium is a mineral that can be taken either as a supplement or applied as cream and prevents the skin from skin cancer. 6. Copper in combination with zinc strengthens the composition of the skin from within the body. It is not recommended to ingest copper supplements. However, creams with copper cannot give adverse effects. 7. Zinc is suitable for treatment of pimples because it inhibits oil production. Zinc can be consumed from foods such as beef, and poultry. You can also apply topical creams rich in zinc. Some other useful supplements for your skin are essential fatty acids that are responsible for the prevention of white spots and black spots. Dermatologists also recommend that people consume a multivitamin daily because it contains most of the essential supplements for healthy skin. In summary, good skin is dependent on what you eat. There are many supplements that one can use to ensure your skin is radiant and young. Vitamins such as A, C, E, K and B complex should be included in the diet or applied as creams, lotions or serums. Minerals such as copper and zinc can also reduce skin complications. It is true that the role of vitamins in skin health is indisputable. But the sad part is that most people dont know these facts and just try working on the outside of the skin. In my opinion skin needs more than just nutrients. It requires cleansing from inside and wheat grass is ideal for this purpose. It is being called as liquid gold. It is said that it even cleanses heavy metal from our body and is perfect for skin health.